The “How-To” video tutorials on Adobe Flash installations are amongst the most popular videos I have on my YouTube channel and on the ClearTechInfo site. 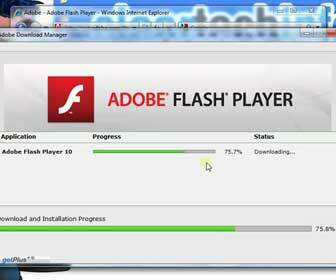 Internet Explorer 8 installs the Adobe Flash Player slightly different compared to the older version IE 7. So I created a new video showing you the exact way it installs on IE 8. [adblockingdetector id=”1″]I added at the end of the video tutorial below why Adobe Flash fails to install sometimes on Internet Explorer and a possible solution. If you would like to test your newly Adobe Flash install I also show you how to test Adobe Flash at the end of the video.